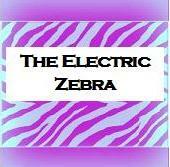 The Electric Zebra – In a world of horses, be a zebra. In a world of horses, be a zebra. All about… being in someone else’s shoes. All about… this useful letter. All about… what your Auntie Elsie did. All about… being an imposter.